When you put a puzzle together, what is your method? Where do you start? Most people organize the pieces, make sure they are all flipped over the correct way, and look at the picture on the box. The majority of you probably start with the corners and the edge pieces. Why is that? Because we know where those pieces go. You wouldn't start with some random piece in the middle would you? What if it was even more difficult, and you didn't have a picture to look at. You didn't know what the end result was supposed to look like. In fact, you don't even know if all the pieces are there. If this were the case, we would definitely want to start with the corners and edges. Again, the pieces we know. If we start with the pieces we know, we can at least start to put the overall picture together. It gives us a starting point, and a foundation to build on. 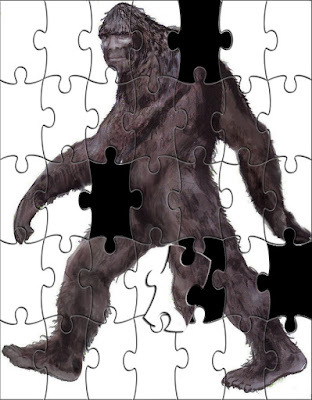 So when it comes to the bigfoot puzzle, why are so many people trying to start with the unknown pieces? 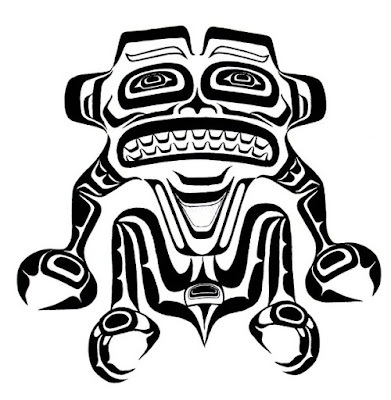 In a recent article I wrote, I mentioned something about how often times people will say that in the field of bigfoot research, since most things about the creatures are not known, we must keep an open mind. Accepting of any and all possibilities. While normally I would agree with keeping an open mind, I've even said a closed mind is one that's closed to learning, in this circumstance I do not completely agree with the open mind philosophy. An open mind can be a great asset to have. It can also be a complete hindrance and distraction. In this particular case where we are trying to learn about a creature that isn't even known to exist, it is imperative that we start with those pieces we know. Facts. While we don't have many facts about this creature (some would argue we have none at all) we do have facts about other living creatures that can be applied. It is with those known facts we can use as a starting point for our research, and form our hypothesis about these creatures. Only through research and evidence can something be learned, not through speculation and imagination. We must allow the evidence and our observations to lead us to our conclusions. The key there is our observations. 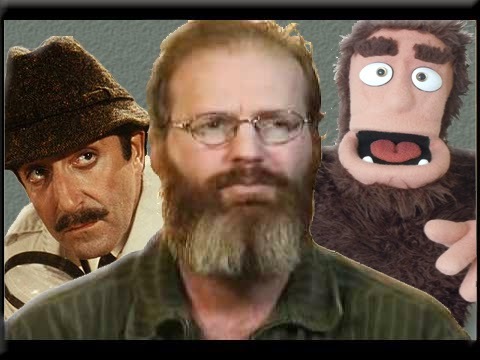 If you are assigning an attribute to a bigfoot that you have not observed nor have any tangible evidence of, you are creating a hindrance to the truth. You might as well be creating a creature straight out of your own imagination. Which unfortunately is what many in this field are doing. Applying attributes to these creatures that fall outside the known parameters of physics, or the abilities of other similar living creatures is the absolute worst thing you can do. That should be left to the simple and wonder-filled minds of children, not normal, functioning adults. Does science know everything? Of course not. Mankind makes new discoveries all the time. But how do you suppose we reached those discoveries? What do you think made them possible? While some may have been a random occurrence or fluke, most are reached by going through the proper steps using the things we know as stepping stones to reach our final destination. It is the things we know that lead us to our next discovery. If you reach a conclusion through speculation instead of learning, you're doing it wrong. It's that simple. Looking for four corner pieces to build from? 2. Bigfoot have the ability to walk upright. 3. Bigfoot have an opposable thumb. 4. Bigfoot require food and water to survive. These might sound silly and obvious, but they actually lead to many other pieces of the puzzle. They also set specific guidelines of possible abilities or attributes. For instance, knowing they are mammals, you wouldn't apply a trait to them that no other mammal has. Does that mean they don't have specialized or specific traits? No, but if they do the evidence will eventually lead us there. The great thing about puzzles is they can always be started again. If you think you've misled yourself or maybe forced some pieces to fit where they really shouldn't go, just start over with what you know. Not what you think, believe, speculate, assume, or wish. If you can't find an answer for something, don't just make one up to make yourself feel better. Just move on to something else. You never know which path will lead you to a door of discovery.